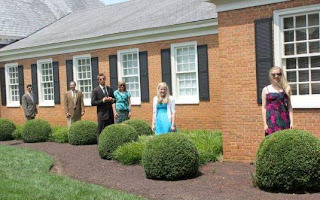 How did their real estate agent know that they all wanted their own shrub? Helping people buy requires learning about the buyer's motivations and needs. Some of these have nothing to do with the number of bedrooms and square footage. Learning to ask the right questions will help the buyers get what they are looking for. Open-ended questions allow the consumer to explain and describe more. The real estate agent can learn alot from open-ended questions. When qualifying buyers and sellers, it never hurts to SLOB them! S How soon do you want to move? L How long have you been looking? O Have you made any offers? B If you found the right house today, would you buy it?